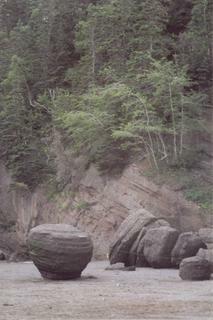 This rock formation at Hopewell makes me think that a giant should be sitting and resting his feet on this foot stool. Mayte. Low tide at the wharf in Grand Manan.